Even though the Sony KDL-32S2010 is a step down the Bravia range ladder, there's certainly no step down in quality, as this 32-inch LCD TV certainly delivers the goods. Connectivity delivers the essentials of HDMI, component video, PC jack and two Scarts. But a second HDMI and third Scart wouldn't have gone amiss on a £1,000 TV. Sony's wide colour gamut technology may not be included, but you do get the new Bravia Engine processing system for full digital image scaling, contrast enhancement, advanced colour processing, and multiple noise reduction routines - all designed exclusively for LCD technology. Additionally, Super Vertical Pattern Alignment (SPVA) LCD panel design makes it possible to view pictures from a wider angle without contrast and colours dropping off too badly. Other key specs for the screen find an impressive claimed contrast ratio of 1300:1, and an HD-friendly native resolution of 1366 x 768. 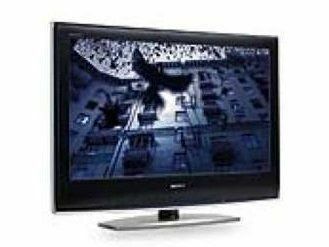 In keeping with practically all Sony TVs these days, the 32S2010 boasts a digital Freeview tuner - complete with seven-day EPG support and a 12-event timer memory. Features in the well-designed onscreen menus, meanwhile, include separate contrast boosting and black level correcting tools, MPEG noise reduction, plus facilities for tweaking peak white and gamma settings. Watching both our SD and HD Layer Cake test run-throughs on the KDL-32S2010 reveals that, even without the WCG system, its pictures are still seriously impressive. Especially striking is how outstandingly sharp pictures are. Detailed scenes look scintillatingly clear and clean. This is especially true in high definition, but it's also noticeable how relatively clean and sharp the standard definition version is compared with rival models. Black levels are very good and there's also enough subtle greyscaling to give dark scenes a sense of depth, too. Even colours often look outstanding. Colour-rich scenes put the KDL-32S2010 out in front in terms of vibrancy, and almost all of the film's tricky fleshtones look enjoyably authentic. The KDL-32S2010 also handles motion cleanly, but there are traces of noise with digital tuner feeds. Sound isn't quite as outstanding as its pictures - but that doesn't mean it's bad. With its open mid-range, rounded trebles and decent volume it's really rather good. Only a shortage of bass stops it hitting the same heights as the pictures. The KDL-32S2010 is a little more expensive than some same-sized LCD rivals. But, checking out the excellent image quality, more often than not, you only get what you pay for.